I love when I can find a brand that has products for my entire family to use. 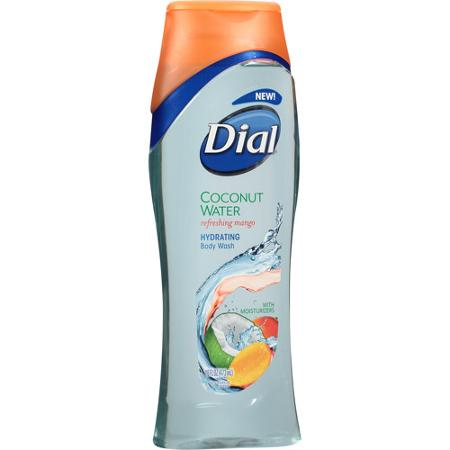 Dial has been a brand that I've used for years. Not only are their products great quality, but they are also affordable too. When I heard that they had some new products coming out for their 2015 line, I was happy that I'd get to try some. I was sent their new Baby Body + Hair Wash, Coconut Water and Mango Body Wash and their Omega Moisture with Sea Berries Body Wash and body bar. My days are always busy, especially around dinner time because soon after is bath time and showers for my kiddos. With a 10 month old, it's important to find products that not only work great, but also saves me both money and time. What I love most about the Dial Baby Body + Hair Wash is that it works for both body and hair. So when it comes to bath time, I only need to bring out one product to get her body and hair clean without having to grab another bottle. 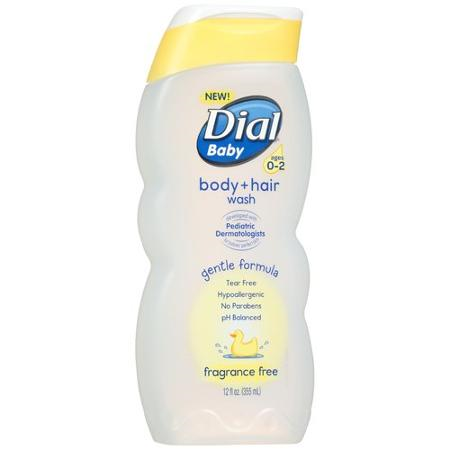 Dial's Baby Body + Hair Wash is mild enough for your baby’s skin and removes dirt for a head-to-tiny-toes clean. It's both fragrance and tear free and it's also hypoallergenic so it can be used for every baby. The Dial Baby Body + Hair Wash is retailed for $6.99. Now that the warmer weather is here, my showers are less hot and more on the cool side. I love that I can step into the shower and use the Coconut Water and Mango body wash and feel like I'm on a tropical island. Not only will this body wash have you feeling tropical, but it will leave your skin feeling hydrated, clean, fresh and soft. It lathers up great and a little will go a long way. Coconut Water and Mango Body Wash is retailed at $6.99. Lastly, I got to try both the body wash and body bar for Dial's Omega Moisture with Sea Berries. Let me just say not only does this smell good, it also moisturizes your skin and leaves it feeling soft and healthy. skin’s barrier for healthy looking skin. This advanced moisture-attracting formula provides lasting, lightweight hydration. The body bar is orange and it lathers up and rinses off nicely as does the body wash and it doesn't leave any residue behind. When you step out of the shower you will be feeling fresh and ready to start your day. Omega Moisture with Sea Berries body wash and bar soap retails for $6.99. 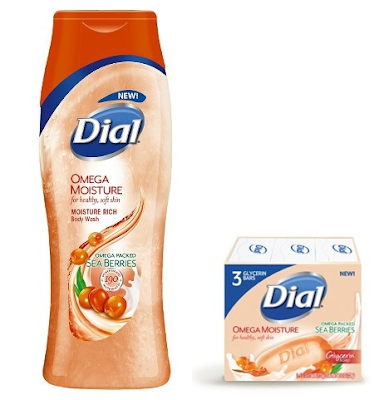 You can find all of these products from Dial at your local Walmart, Shoppers Drug Mart and Loblaws. For more information about these and other Dial products, be sure to head over to www.dialsoap.com. Disclosure: All opinions are my own. I received the above mentioned Dial products at no cost for the purpose of this review. No other compensation was received.